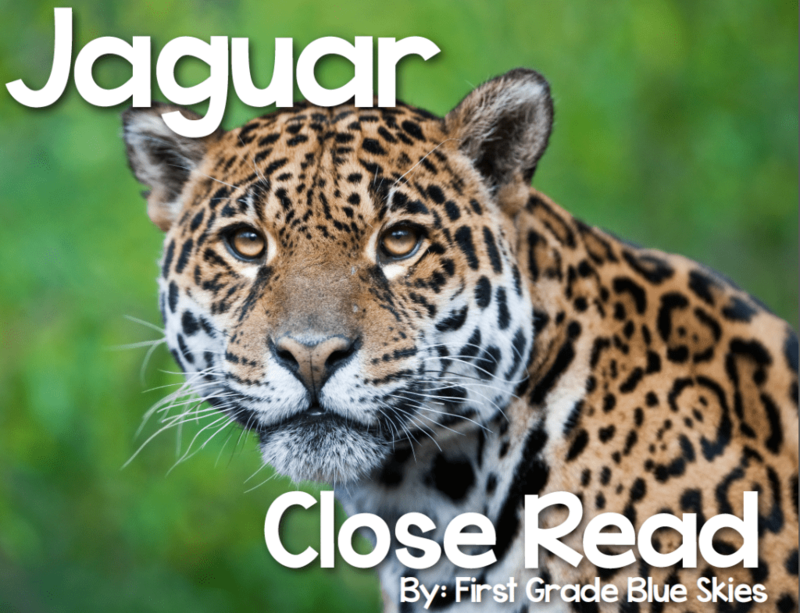 Continuing on with my close read series, here is my Jaguar Close Read… I have to say while creating this pack, I actually learned A LOT! Like, how can you tell the difference between a leopard and a jaguar’s spots? Or did you know that jaguars are one of the few cats that like to swim…they actually swim a lot! 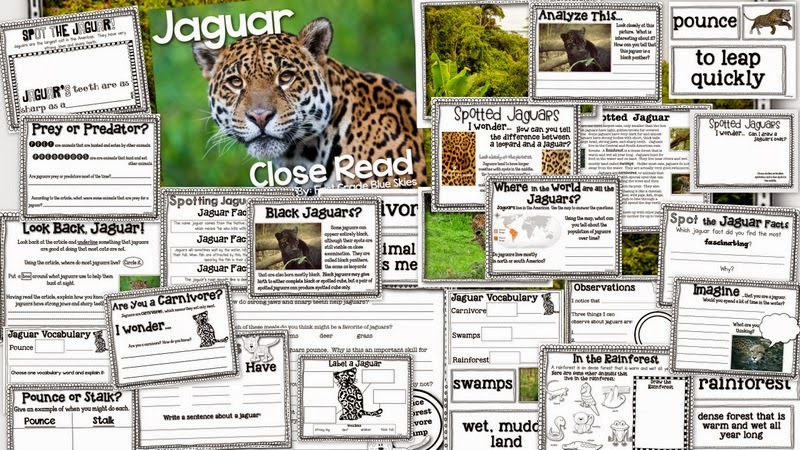 Your students will love to learn all about jaguars (like I did) using this pack! You can leave a comment below for a chance to win my new Jaguar Close Read and have a GREAT Saturday! I only have a little more than a week left of my summer!!! It’s getting close! I think you are working on an Anchor chart holder–very cute, love the black criss-cross details. Love the real-life Jaguar pictures on your Close Read! Looks great!! My kids would love it! I would love to win your close read! I am attempting close reads this year! Nervous! I am excited to see what your building! Not sure what you're making, but it looks like fun! The close read pack would be a great win! These will work great in my new school and class full of firsties! A place to do Reader's Theater puppet shows? My kids love jungle animals! I would love to win your close read pack. This would be a great unit to win! Ooh, the jaguar set looks fantastic! For my birthday last month my hubby and I did a back stage tour at the San Diego zoo. We go to stand 3 feet away from a jaguar. It was sooo cool! You win! Emailing you now! I have purchased your other close reads and would love to add this one! Would love to win this resource. I know the kids will enjoy them. Thanks! Puppet stage:)??? Chrissybryant74@gmail.com thinks your Close Reads Rock!!! Would love to add your close reading activities to me resources! This is my first year teaching first grade! I would love to win this jaguar close read. I would love to win! It's my first time with close read in first grade! Is it a puppet show? Wow! You have put a ton of work into your close read packets and they are amazing. I would love to win one – thanks for the chance! JAGUARS ARE OUR MASCOT (GO JAGS!) :-)!!! I have been reading your close reading blog posts this summer and I am trying to wrap my head around implementing close reading in my classroom. Your work in wonderful, thank you for the opportunity to win! You win! Emailing you now!! I would love to get this! I can use it! 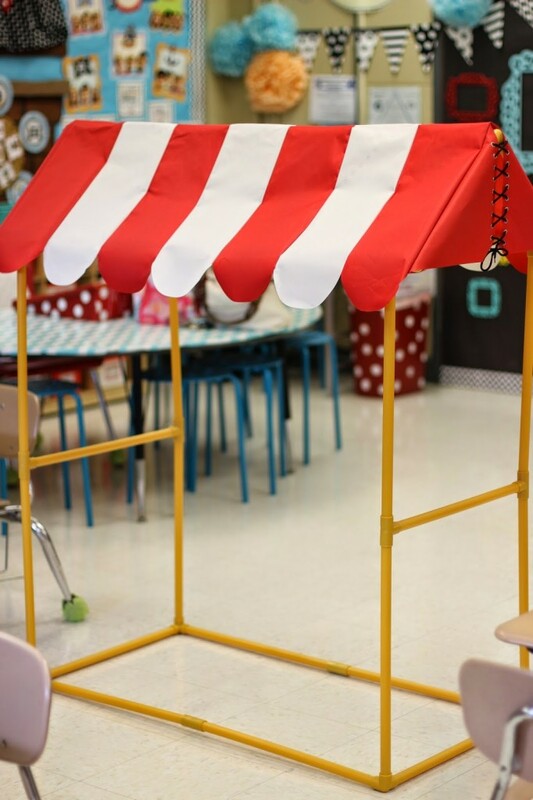 Are you making a readers theater/puppet theater house?? The Jaguar close read looks great! This would be an awesome resource for my classroom this fall. I would love, love, love these! I'm teaching 1st grade for the FIRST time this year!! I started implementing close reading last year with my second graders. Your packets look great and I think they would help me develop this instructional skill as I teach my firsties this year. Your packet looks fabulous. Close reading is something I am going to do this year. Your pack looks amazing! My boys last year were all over nonfiction information! This is a beautiful animal and you have done a fabulous job with the packet. Your Jaguar Close Read looks great! I would love to have your Jaquar Close Read packet to use with my new class! Boy did this summer fly by! Hmmmmmm is it a puppet theatre booth?? Looks great so far! And I would love to learn more about Jaguars, and I'm sure my lils would too! Skearns87@gmail.com 🙂 live up that last week of summer! I am trying to keep up with your Close Reading posts! The book linky had amazing information! Thank you for that! I know my kiddos would love this pack, but I am so mezmorized by this facinating creatures, I would love to win it for me too! On a side note, are you making a stage for something? Perhaps something to go along with your shark theme this year?? Thanks for the chance to win! You always have amazing products and ideas! 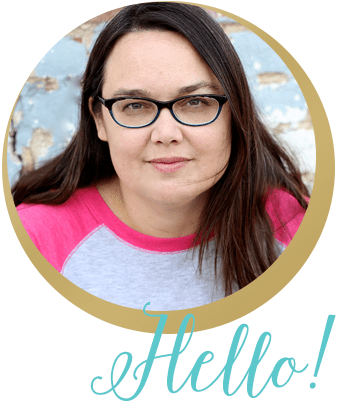 Love looking at your blog! Have some of your other close reading packets and would love to add this one to my collection. Love this unit! I've never tried close reading, but it sounds like something I need to try. Would love to give it a whirl with your fantastic pack! I am looking to get away from the basal reader, I love your concept! I love comparing and contrasting with the children. I also love learning new things. I didn't know about the swimming. It looks like map skills are included as well. I love, love integration. I love jaguars, so winning this would be fantastic! Love the jaguars! I can't even imagine what you're doing with that contraption 😉 I can't wait to find out! This would be great! The children would love it! Keeping my fingers crossed. I LOVE the jaguar close read. My favorite time of the year is when I teach my students how to research. This makes it so much easier. Are you making an anchor chart display? Love you Jaguar Close Reading resource! Look like a lot of great learning activities for the kids. I love your close reads and would love to win this one!! We learn about jaguars each spring when we study the rainforest. With close reading being a focus this year, I would love to win this! Ohhh! I've been eagerly waiting …and hoping ..that you would create a Close Read for Jaguars as we are about to start our Rainforest unit. Having purchased some of your other Close Read units, I JUST know this will be great too. Thank you for creating it.